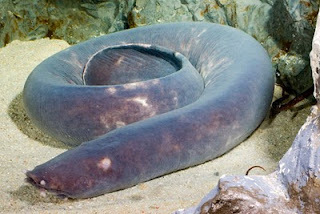 According to records, hagfish have been around for more than 300 million years. 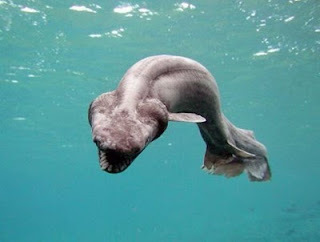 Found in waters that are relatively deep, the animal is sometimes called slime eels, but they are not actually eels, and in fact they do not even like fish at all. According to some scientists, they are a very strange animal in all respects, they have the skull but did not have a spine, and they have two brains. Nearly blind, they eat at night they ate carcasses of large animals (fish, whales, etc.) that falls into the seabed. Lancetfish known as a fish that already exist in prehistoric times, and teeth that looked out on the jaw and sharp fins on its back. 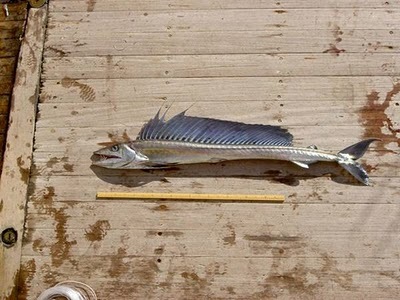 Lancetfish Up to two meters long, this predator was found in all oceans except the polar regions, Lancetfish eat small fish and squid, and Lancetfish also eat big fish. Osteoglossids (arowana), these fish already exist in the Jurassic period. Today, they are found in the Amazon, and in some parts of Africa, Asia and Australia. Sometimes kept as exotic pets. Arowana fish that eat small animals and worms that they could get, including birds and bats which they catch while flying, Arowana can also jump up to 2 meters into the air. 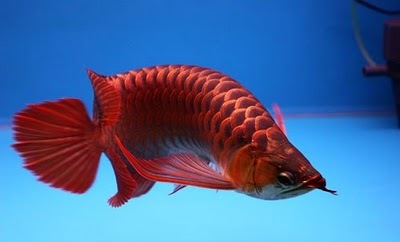 In China, the arowana is known as "fish-dragon" because of their appearance, and they are considered a sign of good fortune. This deep-sea predators, one of the most primitive shark alive today, is a relic of the Cretaceous period, frilled sharks can grow up to 2 meters (size larger than the female shark shark men) and they live in deep water, where they eat mostly squid. They are harmless to humans, and actually, the sharks spend their entire lives without seeing human beings as they live in the deep sea. Only the dead specimens are usually visible on the surface and recorded by fishermen or scientists. Sturgeon has been known as one of the main sources of caviar (fish eggs) due to overfishing, the population is being threatened at this time. 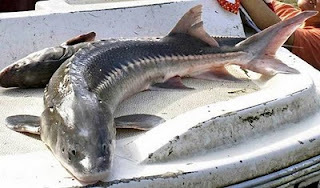 Largest sturgeon species can grow up to 6 meters, equal to the white shark, Sturgeon eat small animals from the seafloor and do not pose danger to humans unless provoked.